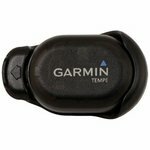 Garmin introduces the long awaited MINI version of the popular Alpha TT15 GPS tracking and training collar. 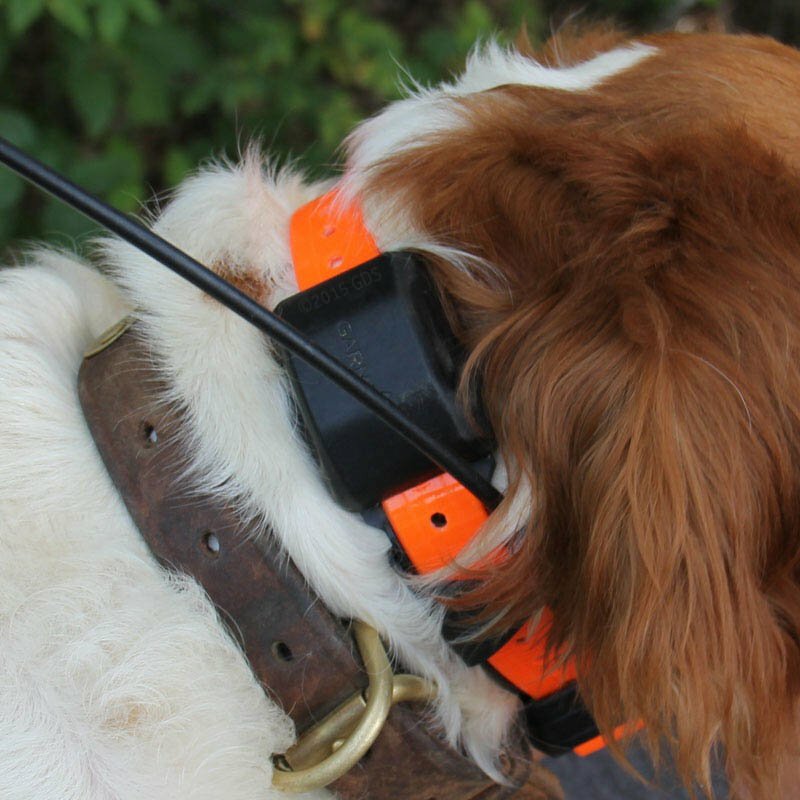 The TT15 MINI was built for super small hunting dogs that have a hard time wearing the larger, standard TT15 collar. 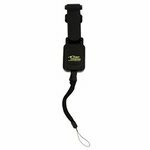 It's perfect for beagles, squirrel dogs, smaller flushing and pointing breeds and terriers. 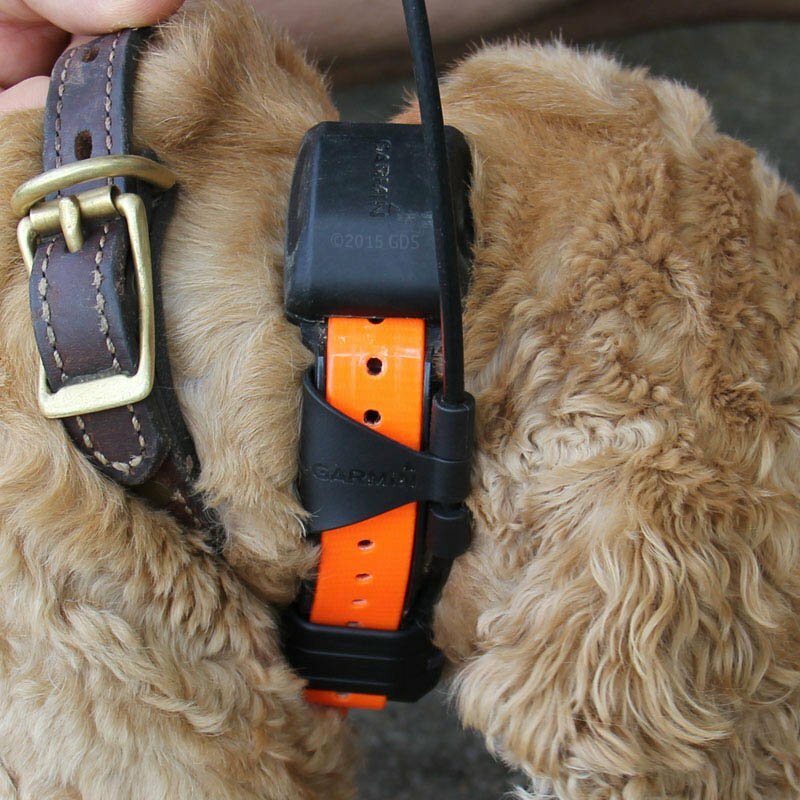 The MINI TT15 collar weighs 7.5 oz and is designed to fit dogs with a neck size as small as 9.5 inches. 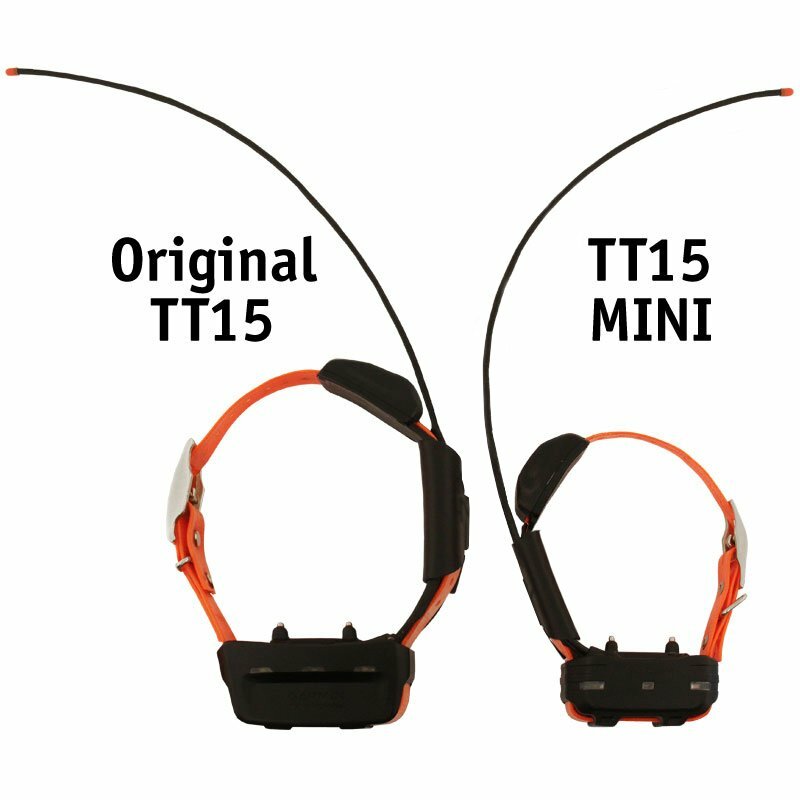 For those of you familiar with the Garmin Pro Trashbreaker collars, the TT15 MINI is the exact same size and design as the PRO TB collar. Just like the TT15, the MINI has a GPS top mounted antenna, but it's length is shorter, allowing a proper fit for smaller dogs. 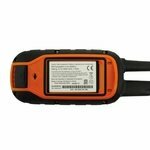 The Alpha handheld and software are the same on the MINI Version. 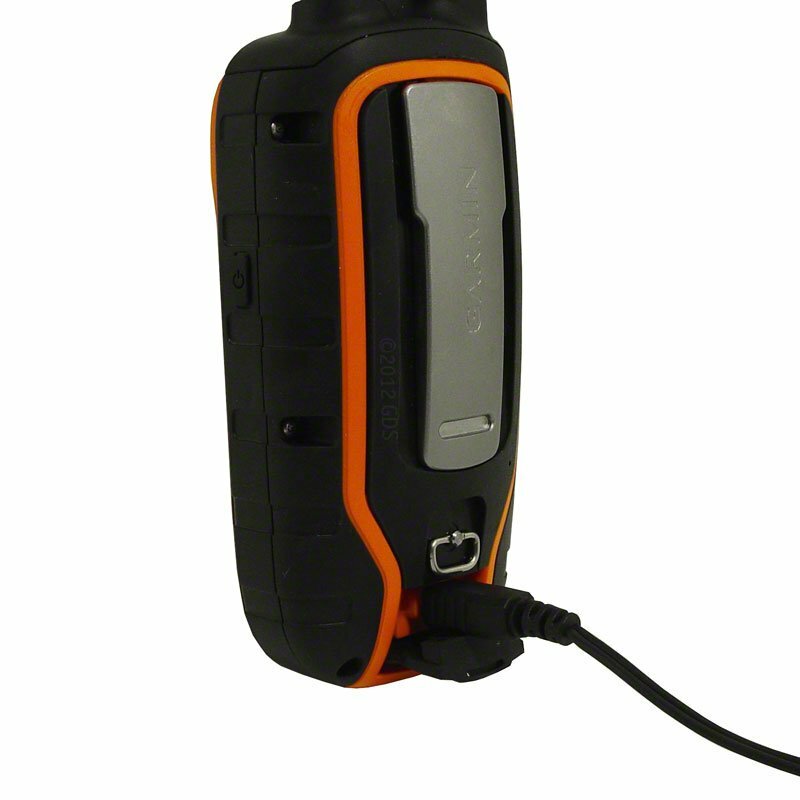 Please note that there is no difference in the handheld or the software for the Alpha MINI. 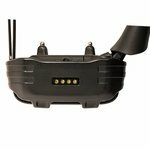 The MINI TT15 is fully compatible with the Garmin Alpha system and can be run in conjunction with regular TT10 and TT15 collars. 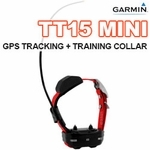 Also just like the regular TT15 collar, the MINI TT15 can run as a tracking only collar on Garmin Astro systems. 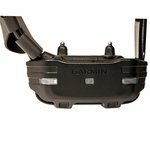 NOTE: You are required to upgrade your Garmin handheld software when adding the new MINI TT15 collars to your existing system. While the MINI TT15 was built with smaller dogs in mind, it can be comfortably worn by larger dogs. The only issue with larger dogs wearing the MINI TT15 is that the placement of the GPS antenna is not going to be ideal. It will end up on the side of the neck on dogs with a neck size of 16 inches and over. I also recommend folks that have young dogs check out the MINI collars. I always have a young dog or two around, and the regular Alpha collars are a bit much for them. 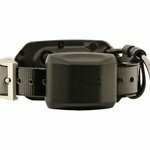 The MINI collar is perfect for that young pup. I really like the look and feel of these new collars... BUT this may NOT be the right collar for you. The real focus for this collar is for small dogs. 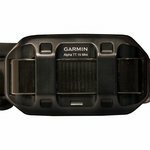 To get the smaller size, Garmin had to sacrifice two of the most important things in a tracking collar -- Battery Life and Range. 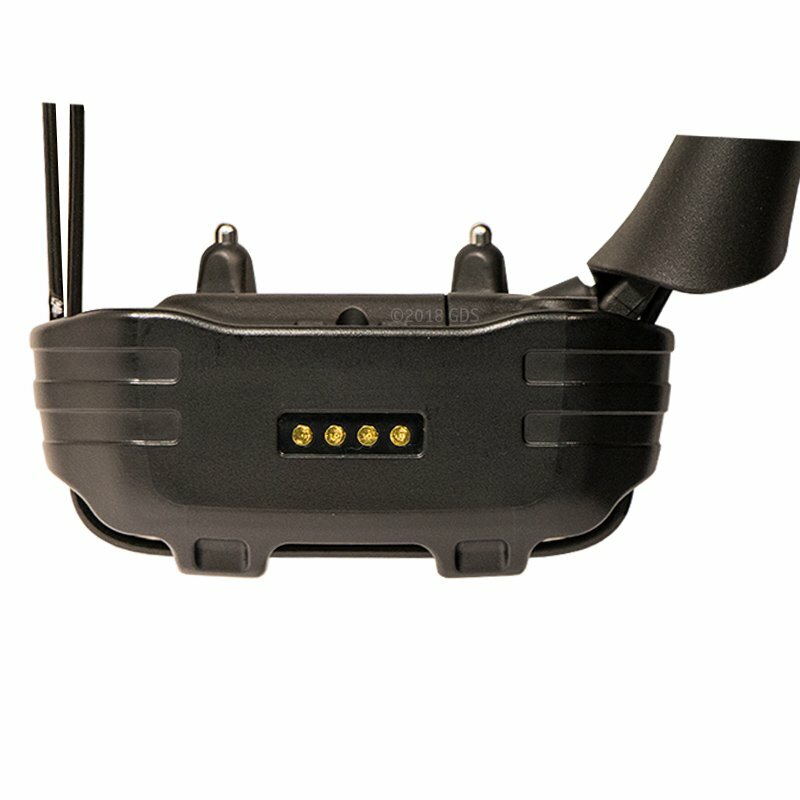 The MINI collar has a 16 hour runtime on a 2.5 second update rate compared to 24 hours on the regular TT15 collar. 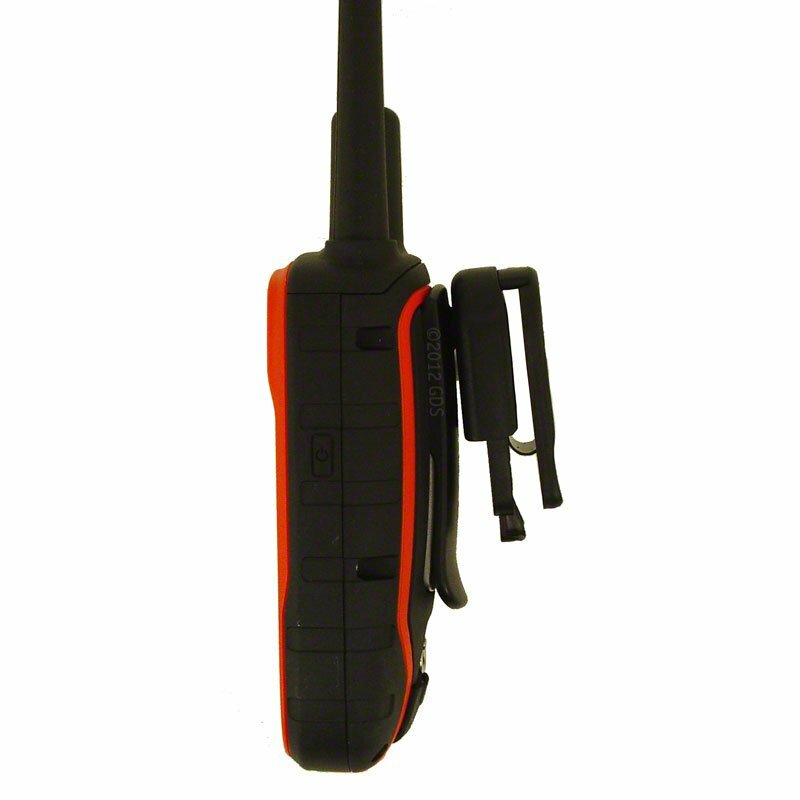 While 16 hours is going to cover most hunting trips, it never hurts to have more battery life. 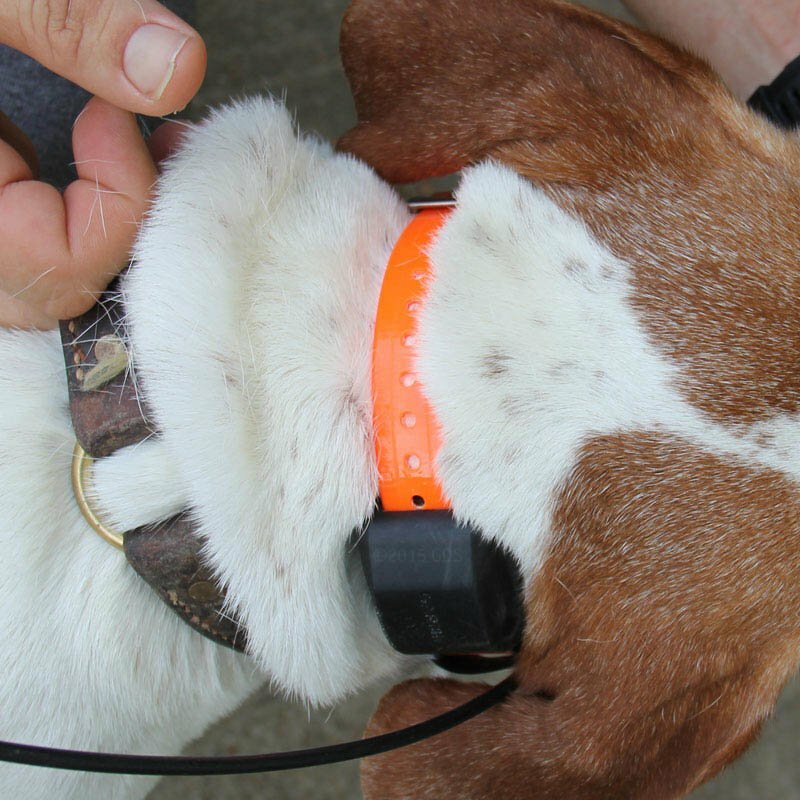 There are few things more worthless than a tracking and training collar with a dead battery. 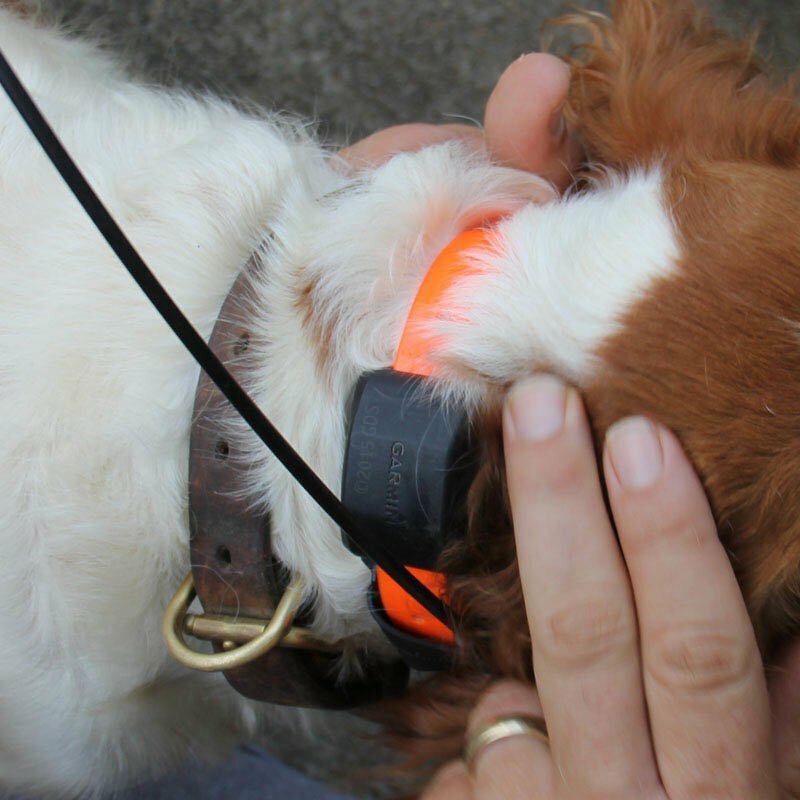 The MINI collar has a line of sight range of 4 miles compared to 9 miles on the regular TT15 collar. However, until we get a feel for how the MINI collars are going to perform in the real world compared to the regular collars, it's going to be hard to recommend that you go this route unless you really have a small dog. There is also no savings when you purchase the MINI version. 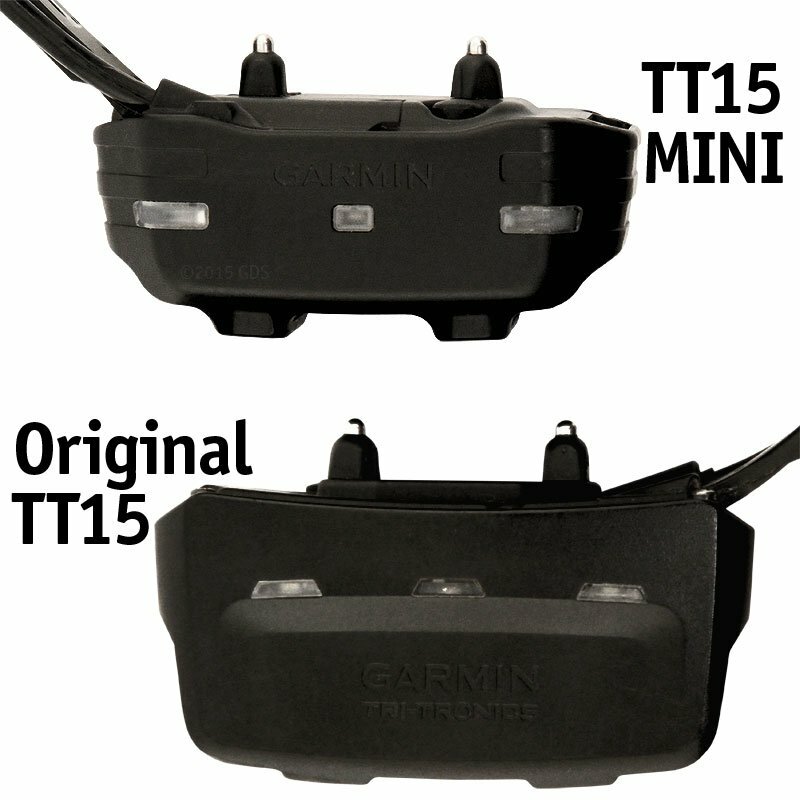 The MINI TT15 costs the exact same amount as the regular TT15. 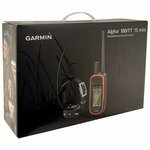 Both systems are $799.99 and both extra collars are $299.99. In my opinion, any dog that has a neck over 14 inches would be better off sticking with the regular TT15 collar. 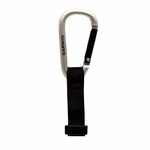 A dog of this size can easily carry the weight of the regular TT15 collar -- 10 ounces. The additional battery life is enough in my opinion to stick with the regular collar. 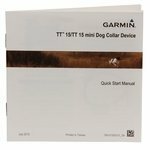 So -- I really like these new collars, BUT unless you have a small dog -- neck sizes 9.5 inches to 14 inches -- stick with the regular Garmin Alpha TT15 collar. 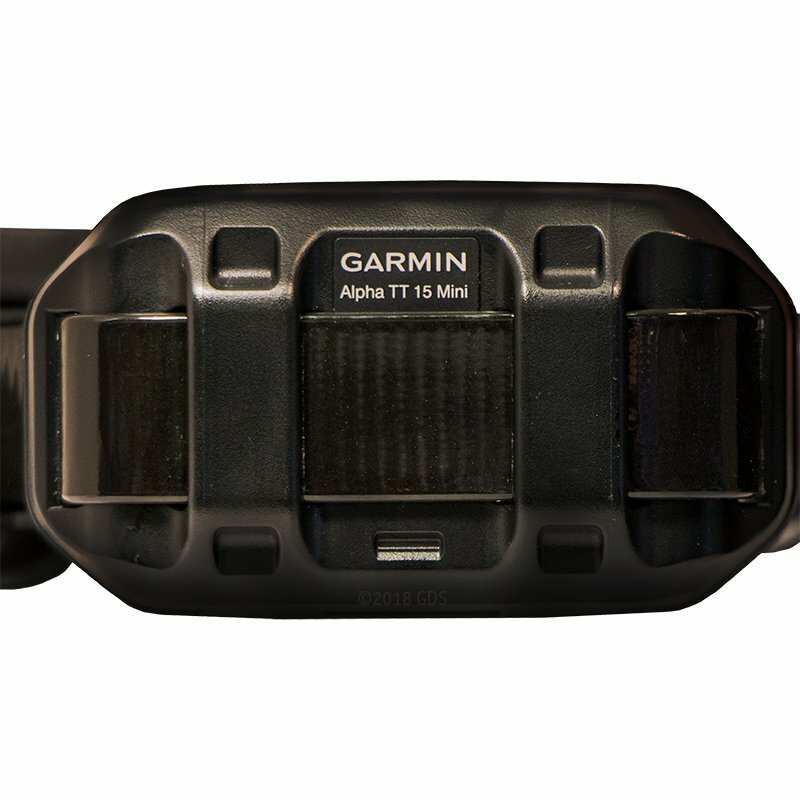 Let's take a look at the Garmin Alpha MINI TT15 collar. 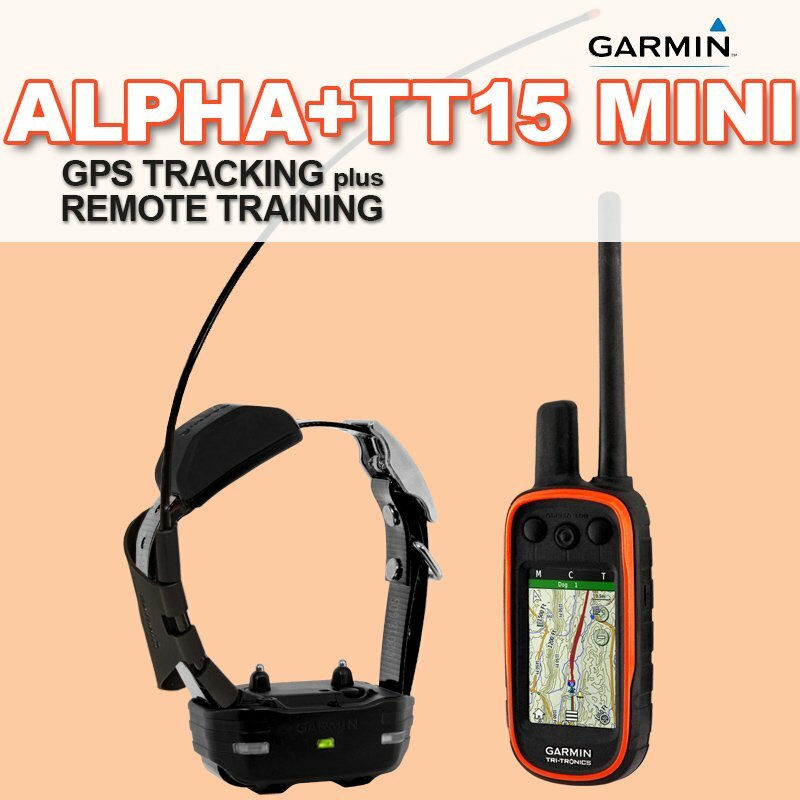 The MINI TT15 is the newest collar designed for use with the Garmin Alpha Track and Train GPS system. 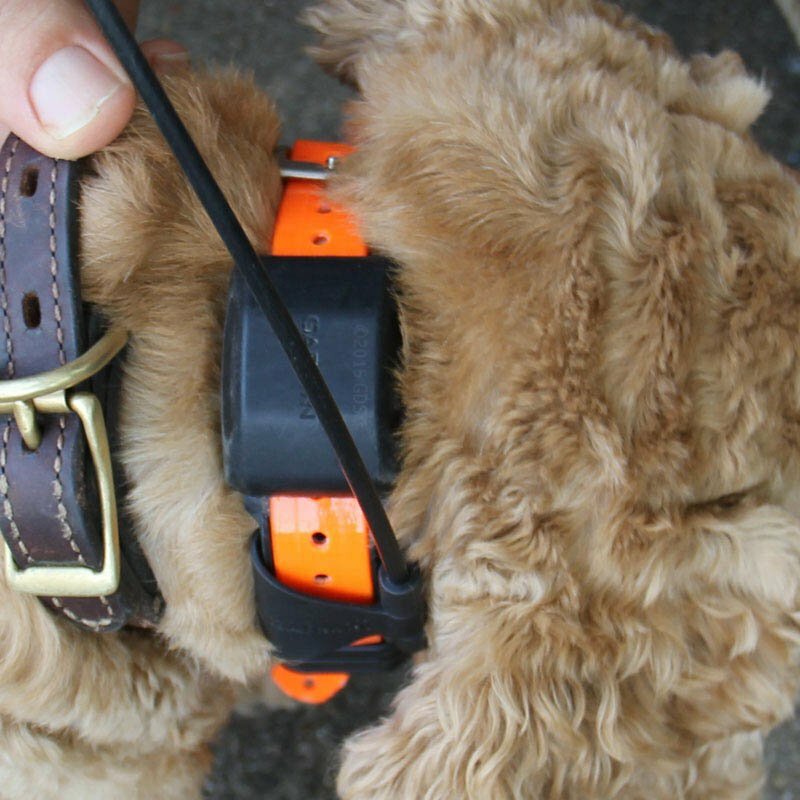 The MINI collar was designed for your extremely small dogs. It'll go down to a 9.5 in. 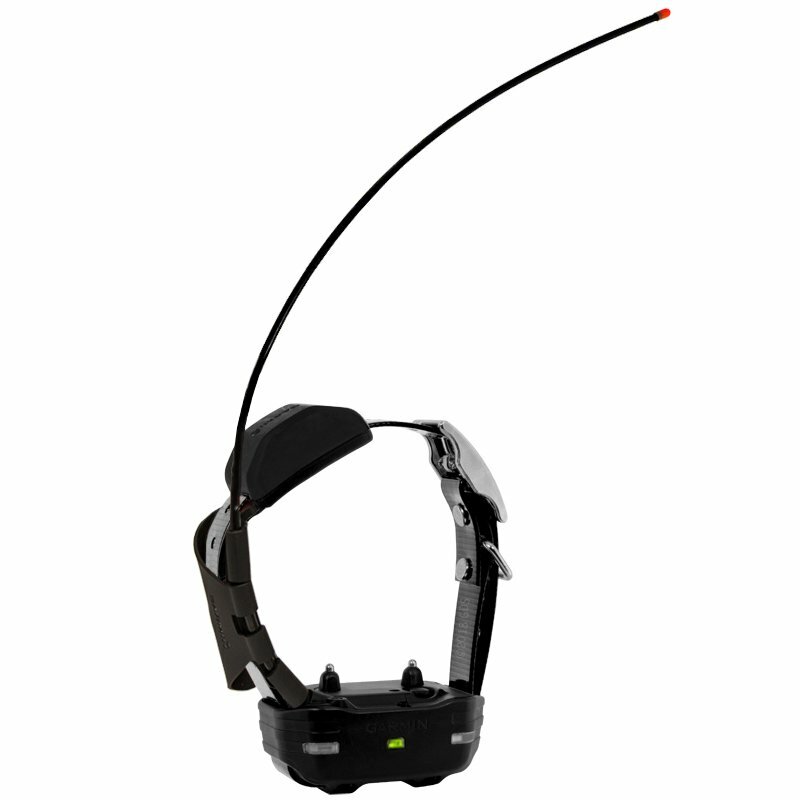 neck and fit comfortably, so that you can get good e-collar contact. That's important with a training collar, unlike a tracking collar which can be a little lose on the dogs neck. 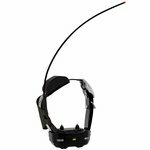 With a training collar you've got to have skin contact with your probes, and so the collar's got to go down small enough. 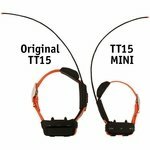 This is your big collar; this is a regular TT15, this is a MINI TT15, and what we were running into is first off you can see this is the smallest both of these collars will go. So you've got a substantially smaller neck size here. But then you've also got, while it's not extreme, the weight difference is about 3 oz., and on a really small dog that can make a little bit of a difference. 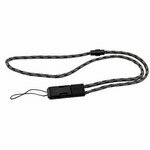 But the problem we were running into was that you couldn't get this down small enough to fit onto a small dog's neck especially the little beagles. That's the biggest thing we've run into. 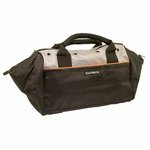 But it also makes a difference on some of your smaller bird dogs, some of your smaller squirrel dogs, your little bitty dogs, this is a lot for them to carry around. 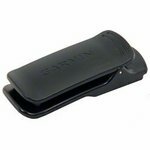 So Garmin developed the MINI collars. 9.5 in. neck is how small it'll go. It's not for everybody. I don't want people to go, "Hey it's a small collar, so I can put it on my giant dog." Right now I'm telling folks 9.5 in. to about 14 in. is what I'm going to recommend. 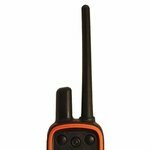 You'll notice, this is your GPS antennae, and as you start to get out to the bigger necks, you're going to start to get this on the side of the dog's neck. Now, we've had that before on the older versions of the Astro, but we really prefer the GPS antenna be on top. 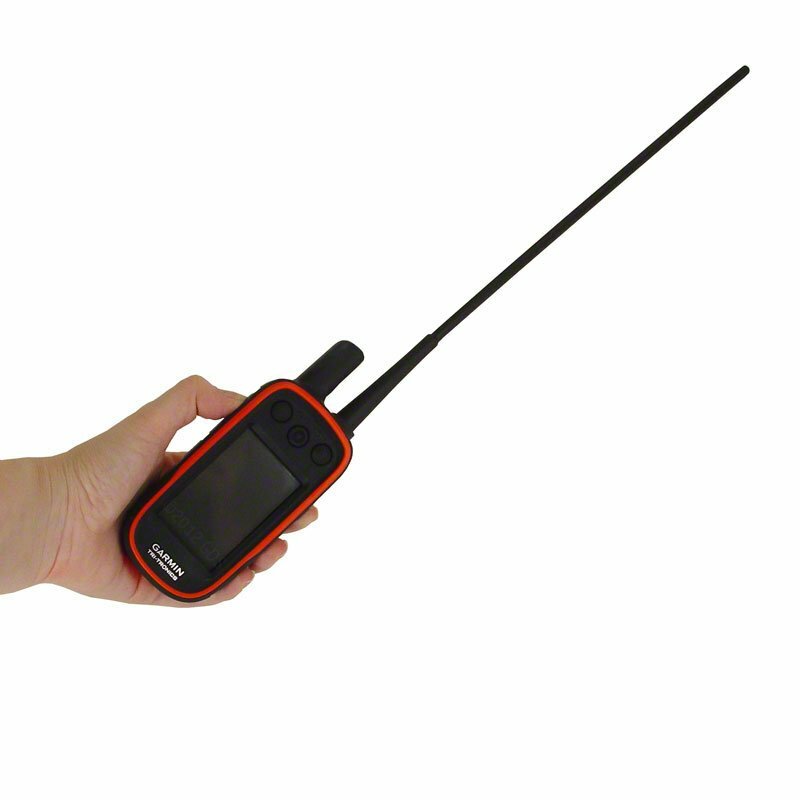 You're going to get a lot better signal reception. So as you get up into the larger necks, this is what you end up with. So I'm going to say that 14 in. is the maximum. I recommend people go with this. That's going to cover a lot of them. 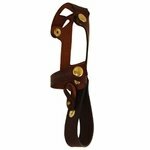 Several of my bird dogs can comfortably wear this collar. But the other problem that you run into with a dog with a larger neck, when you get all this on the side is you're going to start to get some rotation. 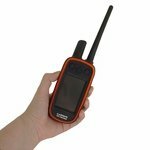 And while that's not a gigantic deal, you'll probably still be able to get GPS reception. 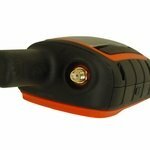 Notice what your antenna does. That's not good. So, small dog you actually get really good antennae placement. That's perfect. 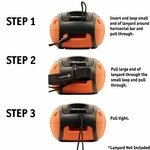 And so you want to use this on smaller dogs. With a smaller system there are two things that we are looking at. You're going to have less range, and you're going to have lower battery life. And in the GPS system that's not ideal, but for the really small dogs that's just sort of the nature of it. Let's talk about battery life first. 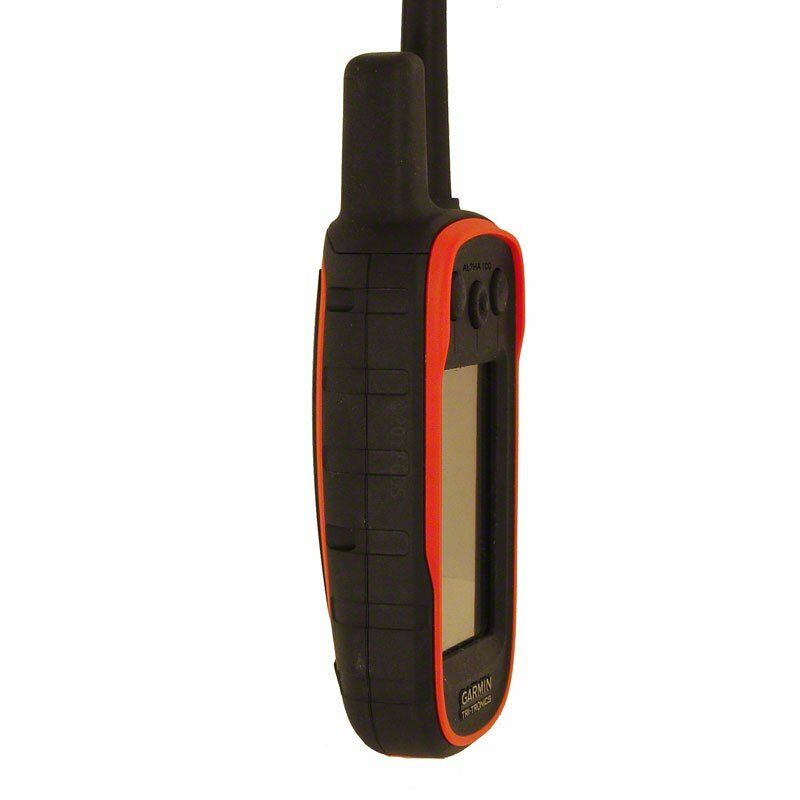 With a regular TT15 collar in the 2.5 second mode -- 24 hours runtime when it kicks into rescue mode. The MINI TT15 on battery life -- it's going to get about 16. You're talking 8 hours less. Now, 16 hours is a full day for everybody, so it's just a tradeoff that you really just have to come to terms with. I'm ok with it, but that kind of goes back to what I was talking about with the larger dog there's just not a big advantage to going with a small collar. I'd rather have the longer battery life. 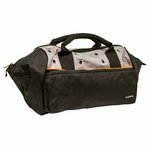 So if you have a dog 14 in. and above, I'm going to go with the bigger collar. Range is going to be the other trade off. 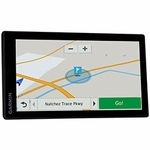 Garmin lists the MINI TT15 as having a maximum range of 4 miles. 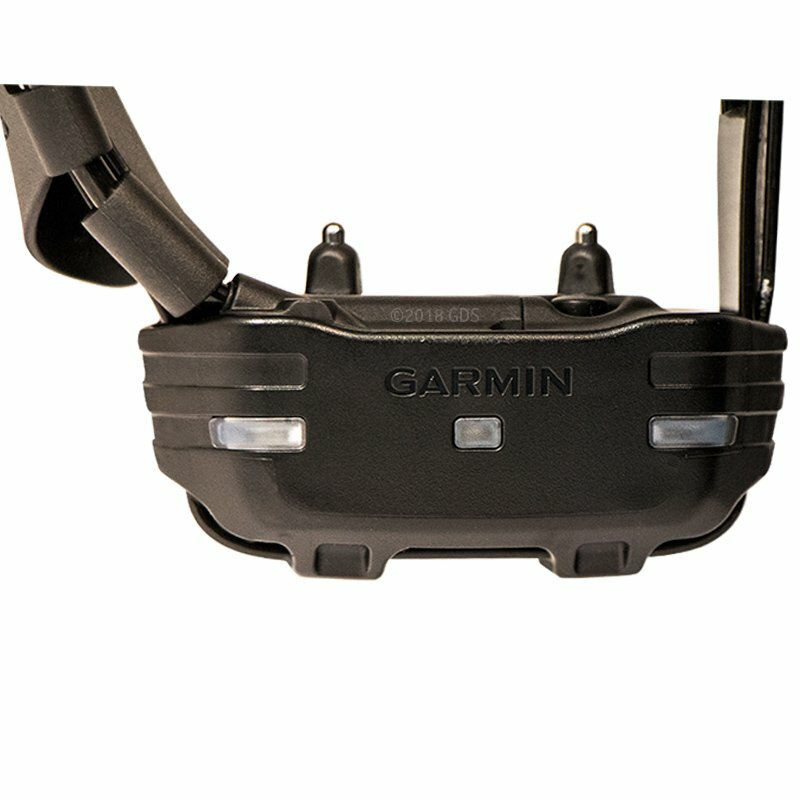 And they list the TT15 regular size collar as having a maximum range of 9 miles. I've always felt the 9 miles was pretty optimistic. I have never been able to get 9 miles out of the system. The most I've ever done with an external antenna is about 6-6.5 miles. So far all of our tests on the MINI collar, it has matched up exactly with the big collar. It's going toe-to-toe with the big collar, everything we have done. 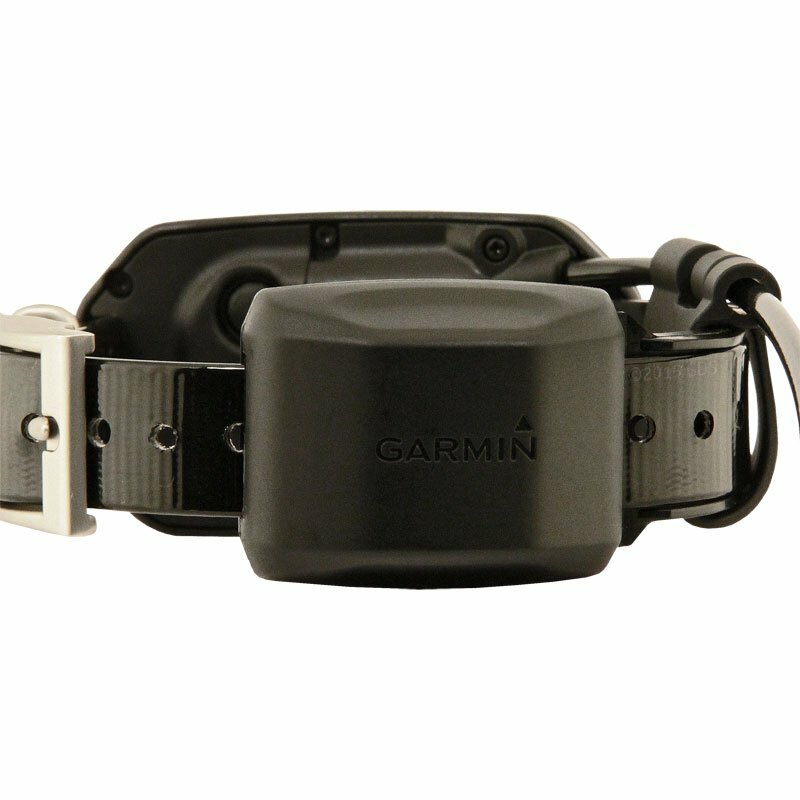 But I went back and talked to the engineers at Garmin to get an answer for that because I didn't understand why they were, in my opinion, underselling the MINI collars. What I was told is that in the 4 mile / 5 mile range and down this collar is going to work about the same. 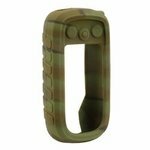 But when you get up into that longer range, when you get passed that 5 mile sort of range, that this one is going to drop off more than the larger collar. There just aren't a lot of situations where you're going to get that kind of range out of a GPS system, so right now I'm a little up in the air on what we're going to say range-wise on it. 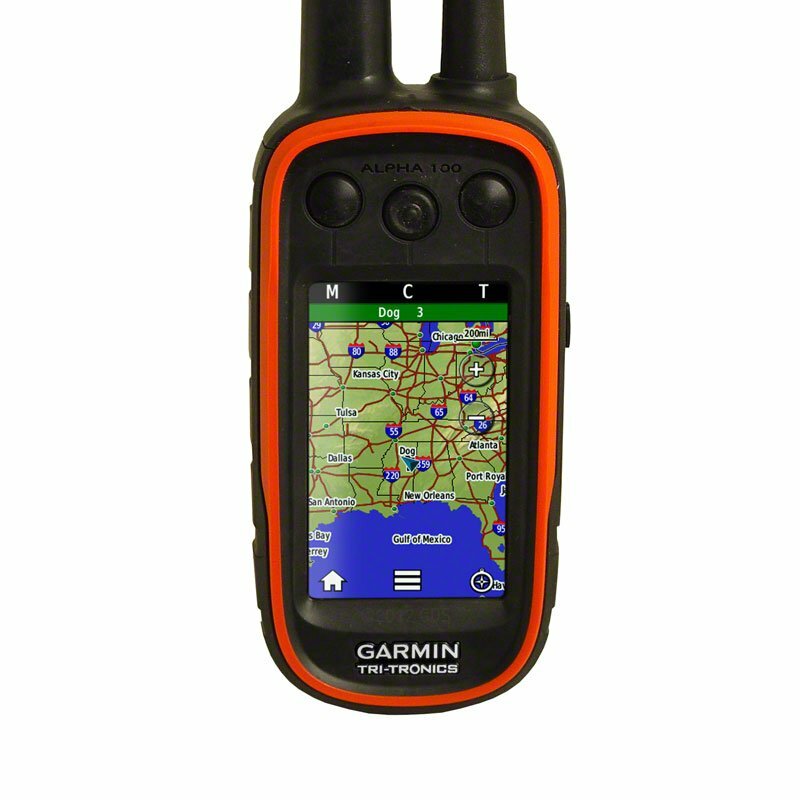 Garmin says this one is 4, this one is 9. So far, the most I’ve gotten so far with this collar is 4.5, but I haven't replicated the situation where I've gotten 6.5 miles yet, so we'll see. But so far range wise I'm pretty happy with it. So going back to it, if you've got a small dog this is perfect. If you've got a bigger dog, I would stick with the larger collar. Everything else about them is pretty much the same. 2 new features: the MINI collars have a bark sensor, so that you can know when your dog is barking or baying and the TT15 has what's called a sleep mode. Sleep mode was designed to allow you to shut the collar down. 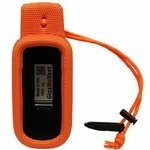 The way it was presented to me was that if your dog is out, you can track him, but you can't get to him, and you're worried about your battery life running out, then you can activate sleep mode. 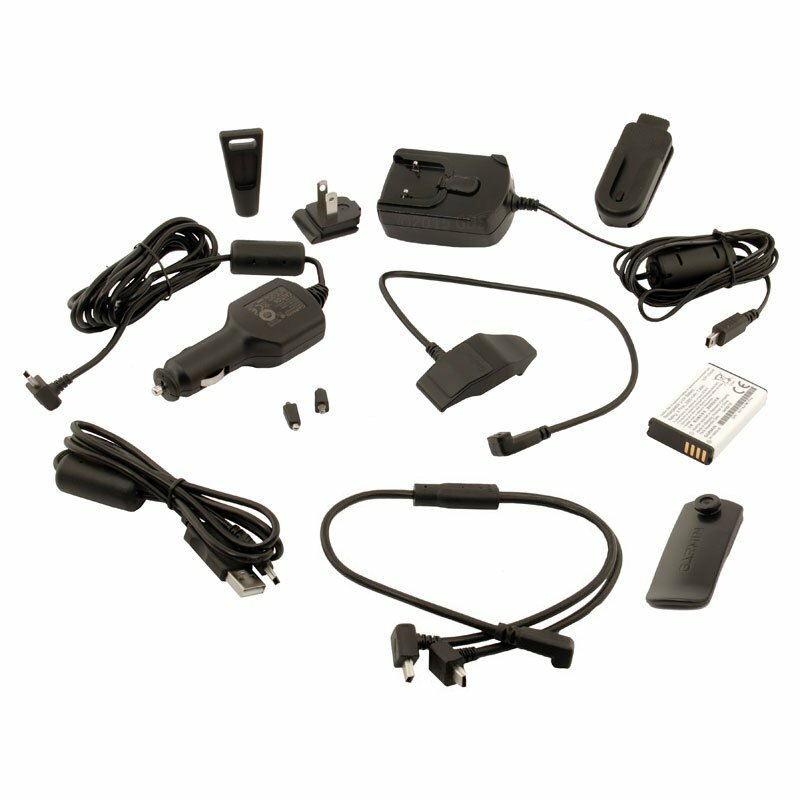 The collar will quit transmitting, and you can come back in the morning and reactivate it. In my opinion that's a pretty bad idea. If you have a location on a dog, you need to get to him as fast as you can. 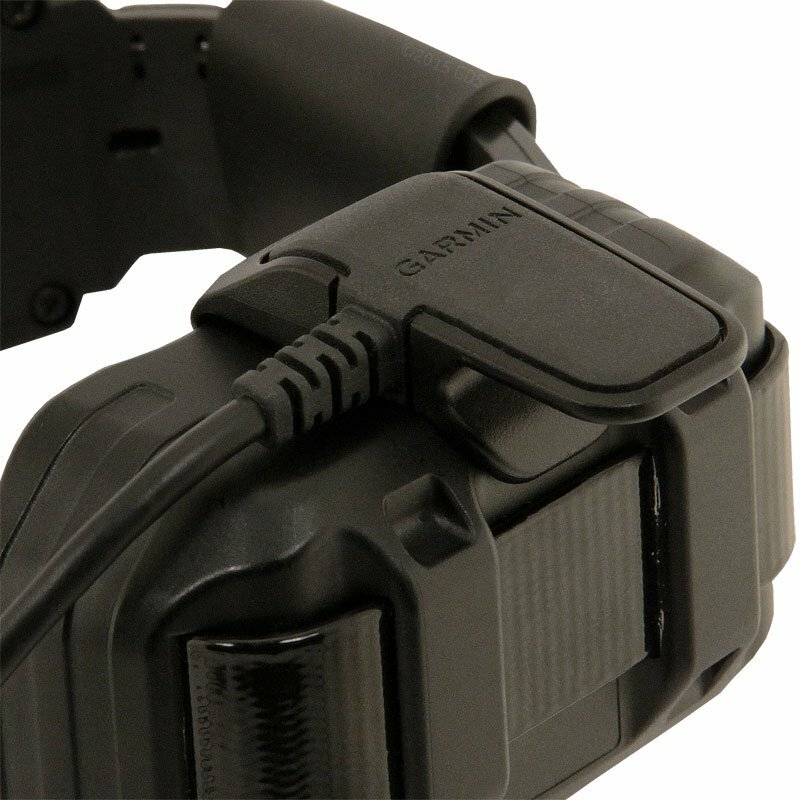 So I can see where you can use sleep mode if you're going from hunting spot to hunting spot, and you want to power down your collar without actually having to cut it off, then sleep mode is valuable. 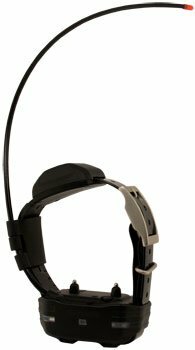 I would not shut down a collar on a dog that I'm tracking and try to find the next day. Beyond that it works pretty much the same. 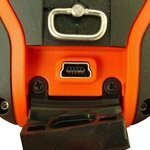 It is compatible with all of the collars out there. You can run them together if you have big dogs and small dogs, and you want one of each, you can do that. 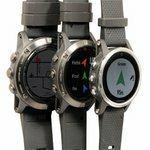 You can still run it with the TT10s, and it also has the same feature where you can run it as a tracking only collar on the Garmin Astro. "I don't know how I've gone without one for so long." I don't know how I've gone without one for so long. "I'm getting up in age and can't hear too good. 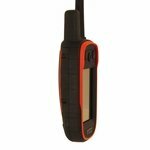 With this unit I can still hunt squirrels with my dog and know where she is when she gets out of sight." The Alpha 100 with TT15 MINI is a perfect fit for my Mullins Feist. I'm getting up in age and can't hear too good. 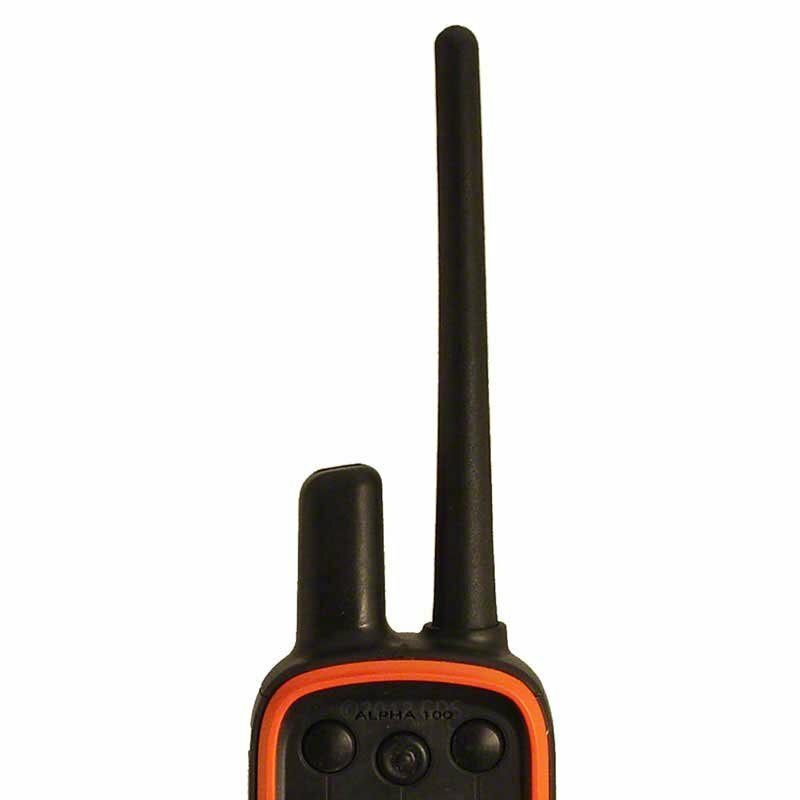 With this unit I can still hunt squirrels with my dog and know where she is when she gets out of sight. It works the best. Thanks. "Great reception even in mountains." Great reception even in mountains. I like everything about the website, especially the ease of navigation. Unbelievable fast shipping and accurate order. Everything came extremely fast and correct. I will use them again in the future for all my tracking needs. 1. 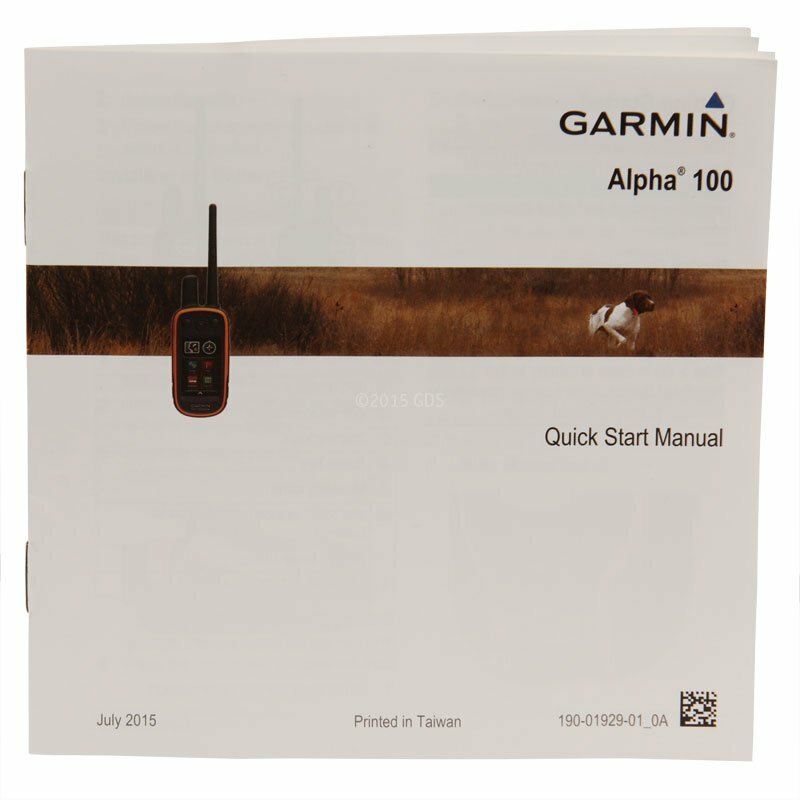 The manual that comes with it is practically worthless, I hate to even call it a manual. 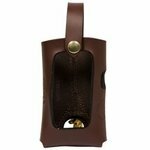 Fortunately it is intuitive enough that you can figure it out fairly easily, at least for the common uses. I suspect there is a more complete downloadable manual somewhere but haven't looked yet. 2. I found that it is really easy to change the stimulation mode by accident. In my case it went from continuous to momentary. My dog is trained for a low level continuous setting and I couldn't figure out why she stopped responding well. 3. 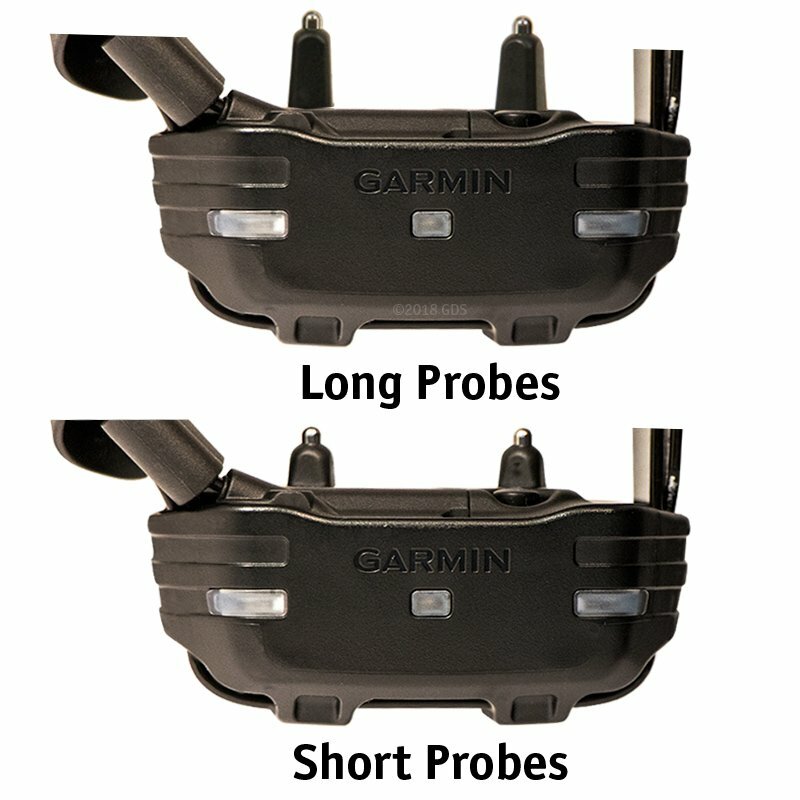 It does not come with a cover for the probe holes when the probes are not installed. 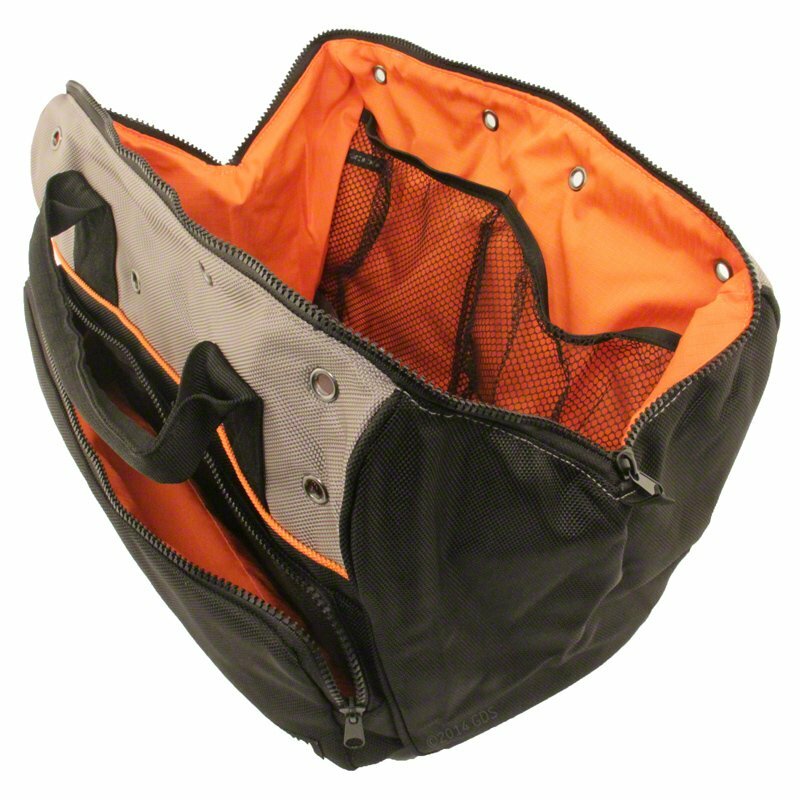 There is supposed to be an orange rubber cover to keep crud out of the hole when the probes are not in use. The one II got does not fit at all, not even close. I don't know if this is a problem specific to the TT15 Mini. 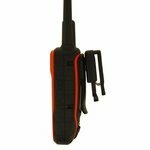 That said it is a great tool and has worked well for my 14-month old Setter. It's fabulous for locating all three and critical to reminding the Jack that she needs to respond to the here command. 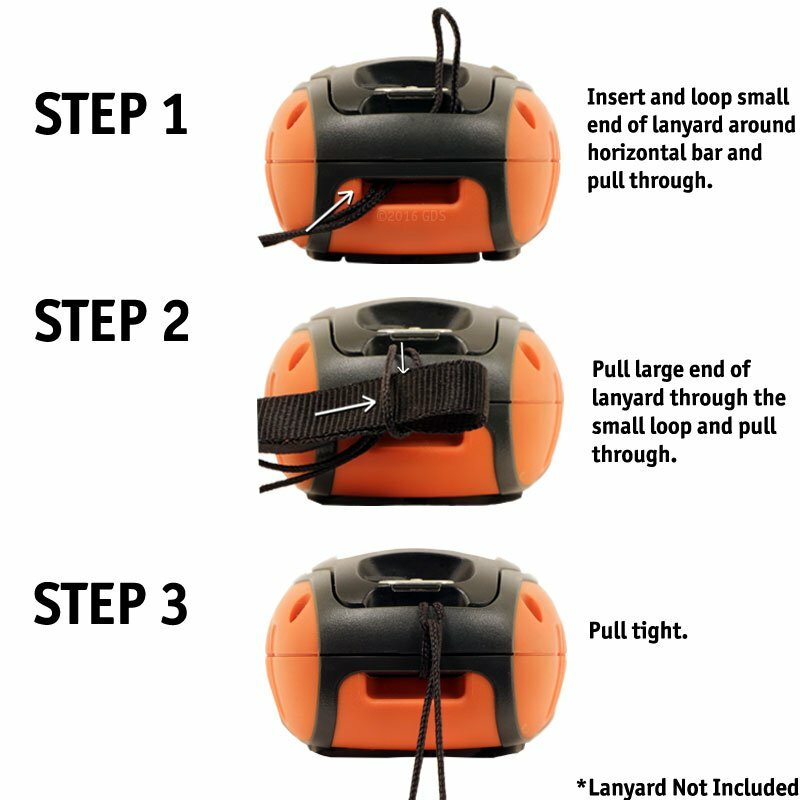 Instructions could be better but the product works great and there are videos out there to help with the instructions. Only thing I had problems with was downloading the birdseye satellite view, but once I figured it out it worked fine. 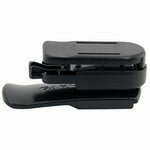 Only improvement I could think of is if it had 4 buttons instead of 3 so you could have vibrate, tone, constant stim, and momentary stim on the same page. I just put constant on the second page because I rarely use it. Overall, very good unit so far. 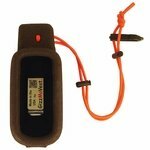 An Alpha GPS tracking system designed especially for smaller dogs! 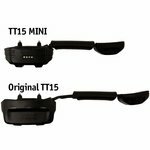 The TT15 MINI is lighter in weight (7.5 oz.) compared to the standard TT15 collar (10 oz.) and uses a 3/4" collar strap. 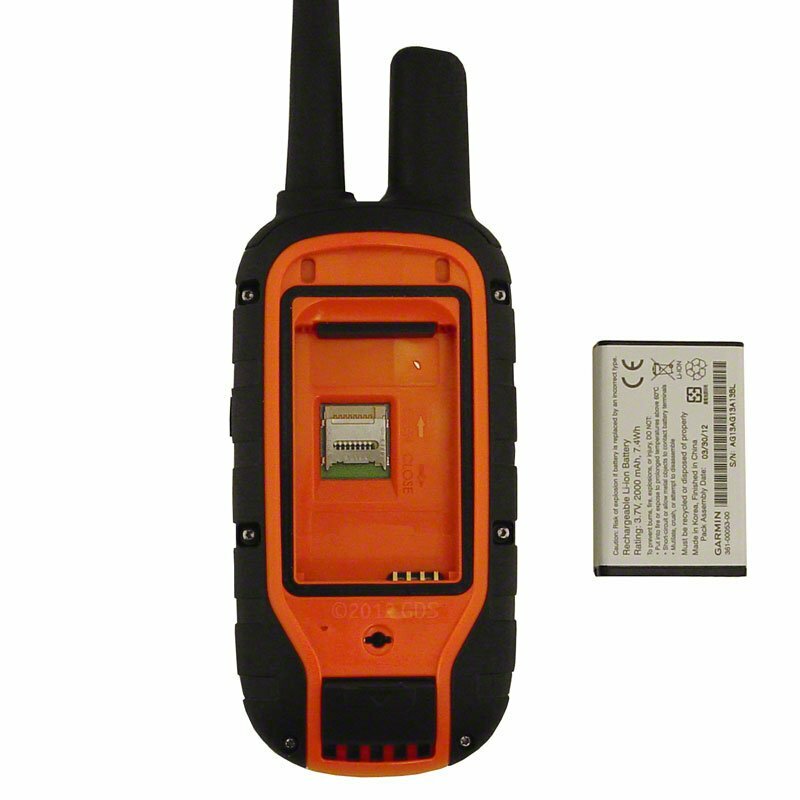 The MINI TT 15 collars have the ability to pick up both GPS and GLONASS satellites. GLONASS is the Russian version of USA's GPS satellites. What this means is that there are now more satellites that your system can pick up. 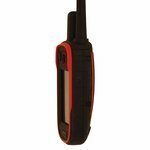 This will get you better and faster reception. 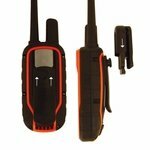 Add a new Non Stim communication to your training. 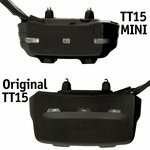 The TT15 MINI collars have vibration along with tone. You can use Vibration to teach a silent recall or most any other command that you choose, or use it as a warning prior to stimulation. 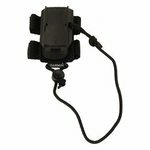 The new Astro T5 MINI and Alpha TT 15 MINI collars have the ability to be tracked by either the Astro 320 handheld or the Alpha 100 handheld. 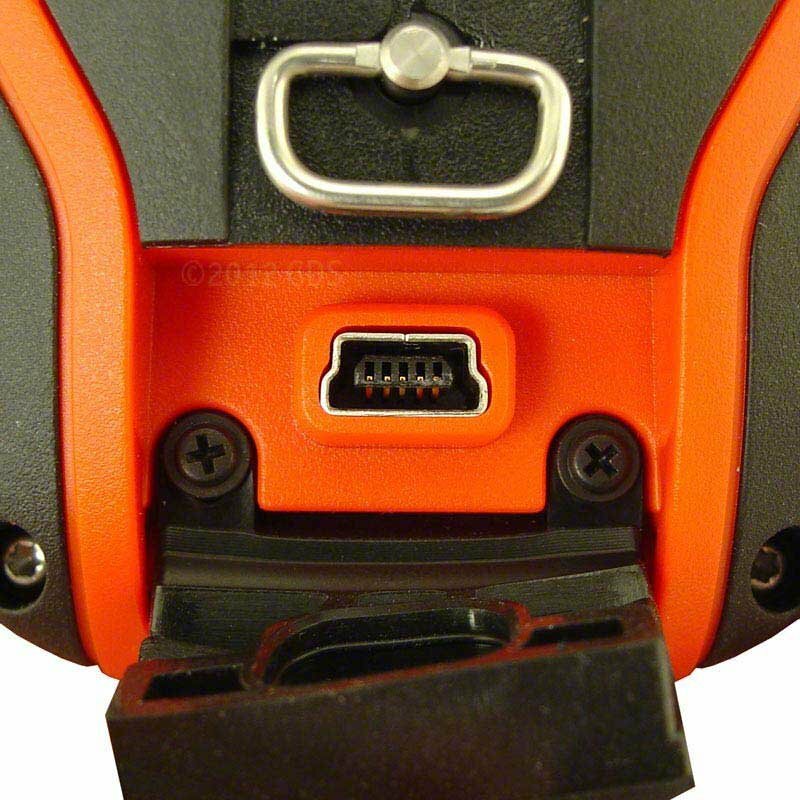 Please note that these collars can NOT be tracked by Alpha and Astro handhelds at the same time. 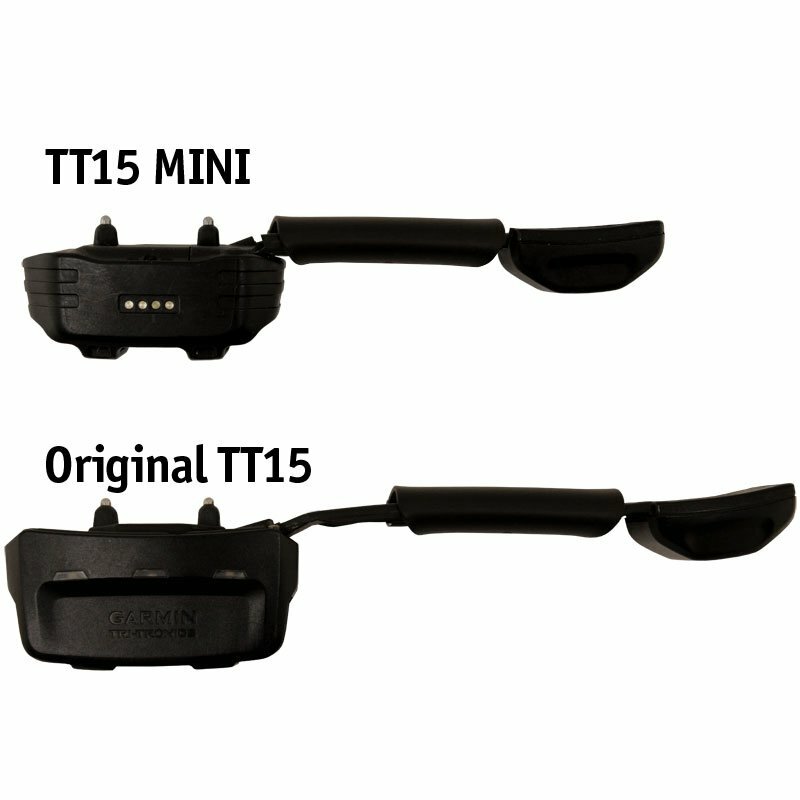 T5 MINI and TT15 MINI collars must either be in Astro mode (tracking only) or Alpha Mode (Track and Train for TT15 MINI, Tracking Only for T5 MINI). This lets Alpha users who need a system they can use in competitions legally run T5 MINI tracking collars. Alpha users that do not need ALL of their collars to be training collars can add T5 MINI collars to their Alpha system and use them to only track dogs. 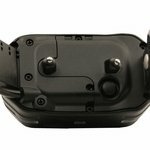 Folks that want to film their dogs in action can add Garmin VIRB cameras and use the Alpha handheld to control some of the camera features. Get a chance to try out the Birds Eye satellite imagery for free in your new Alpha handheld. 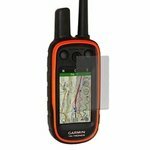 This software gives you the ability to see your dog both on the standard topo map and also using satellite images. It adds a whole new dimension to seeing your dog. EMERGENCY ALERT lets you send your location and an emergency alert message to other Alpha users in the area. 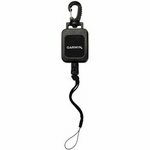 The Garmin ALPHA improves upon the GPS features of the best-selling Garmin Astro and combines them with the functionality of the best Tri-tronics dog training collars. 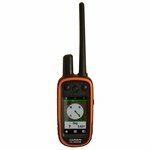 GPS Improvements include faster update rates, touch screen, longer battery life, rescue mode, "buddy" tracking, tracking up to 20 dogs, and my personal favorite -- the direction option in the Compass screen. E-collar improvements give you the full functionality of a $500 remote trainer for only $250 more than the price of the Astro alone. You can either recreate your favorite Tri-tronics e-collar or build a custom set-up with the perfect stimulation types and settings for each one of your dogs. And there's a new user interface with the touch screen. 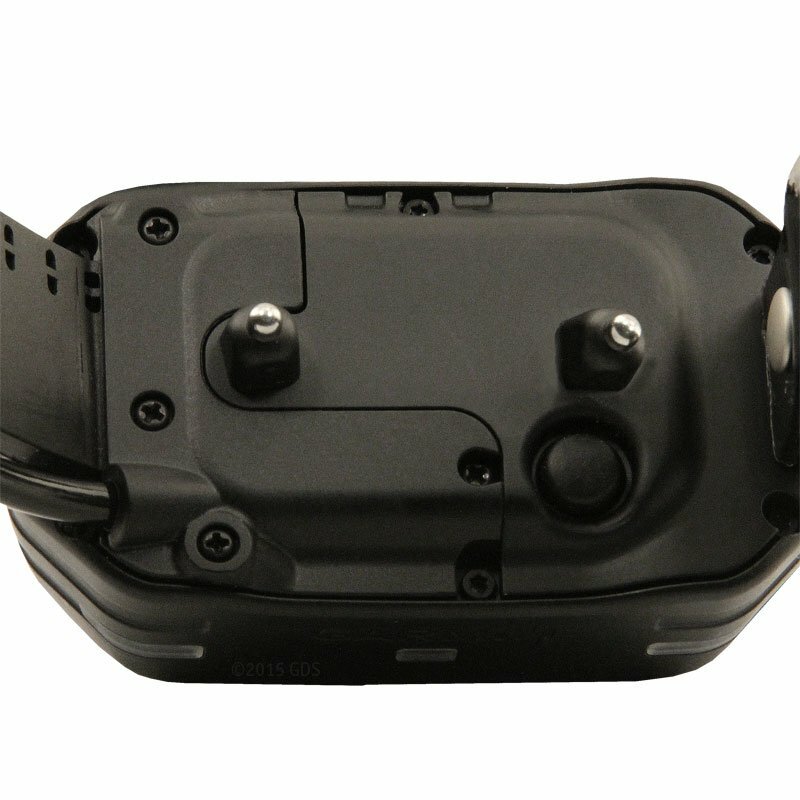 Instead of using toggle switches to change dogs, and intensity dials to select stimulation levels, the touchscreen interface lets you customize your ALPHA collar as much or as little as you want. All-in-one, combination products tend to be the worst of both worlds. Seldom does combining two products into one lead to a piece of gear that's as good as either of the originals. 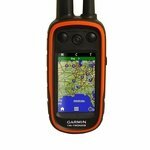 Fortunately, the Garmin ALPHA is more than just a GPS and an e-collar stuck together. 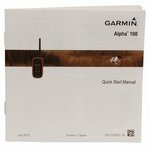 A lot of work went into designing the ALPHA resulting in an elegant system with very intuitive controls. The folks at Garmin were very responsive to our feedback in what we wanted in a COMBO system. The end result? 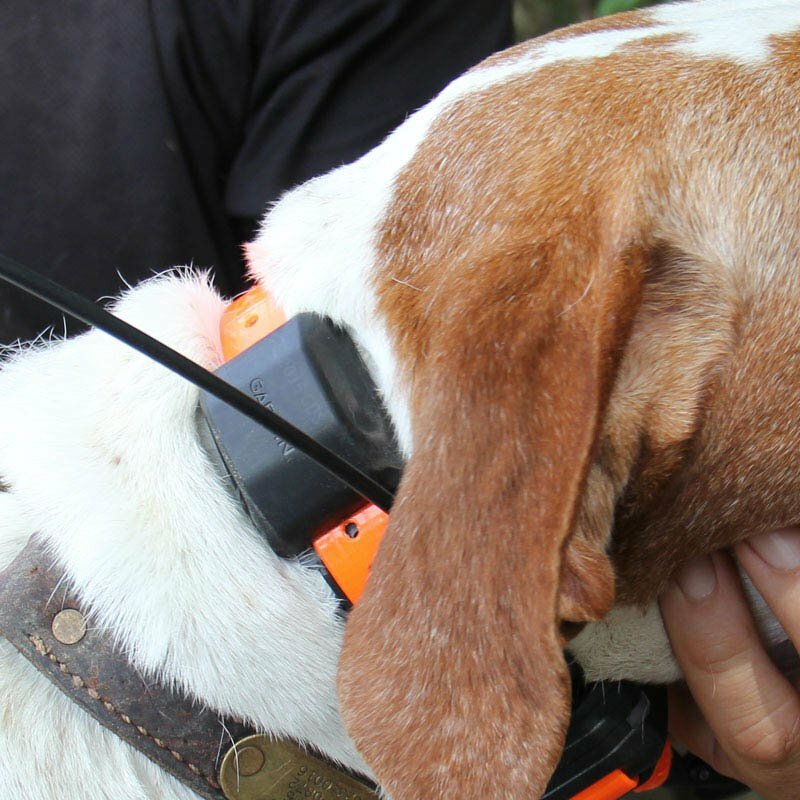 Not only will consolidating GPS + dog training collars into a single system save time, space, and money -- the ALPHA will make hunting and running your dogs a lot more fun. 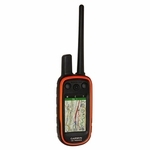 The Garmin ALPHA has 4 Gigabytes internal memory (3.5GB are used by TOPO maps) as well as a micro SD card slot (max. 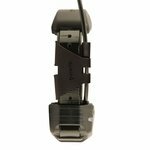 32 GB class 10 or less) so you can add additional pre-programmed data cards with detailed maps, or add more memory by installing a blank MicroSD Card. Micro SD card slot (max. 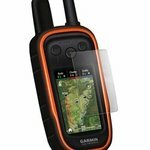 32 GB class 10 or less) available for preprogrammed MapSource mapping detail such as US TOPO, Inland Lakes, BlueChart and City Navigator, or add more memory by installing a blank MicroSD Card. Waterproof to 1 ATM -- 10 meters. 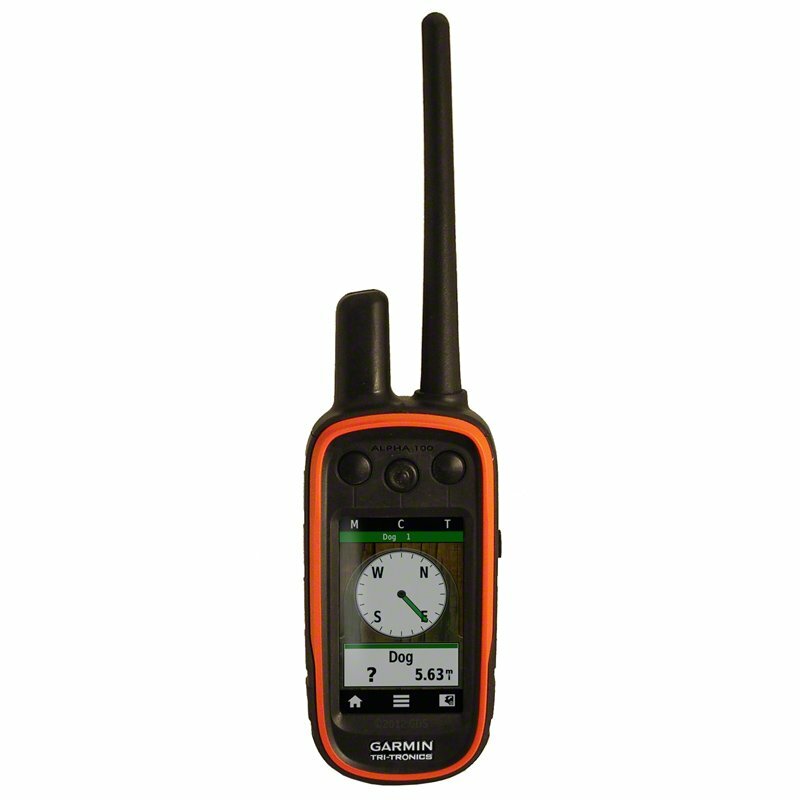 Fits neck sizes between 9.5" and 22"
While the Garmin ALPHA is designed for the hunting dog, many of our customers that don't hunt but enjoy spending time outdoors with their dogs and allowing them to run off leash will find the ALPHA incredibly useful. 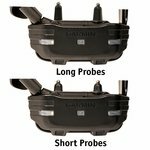 The Garmin ALPHA transmitter and receiver have a "line of sight" range of up to 4 miles using the included long-range antenna. 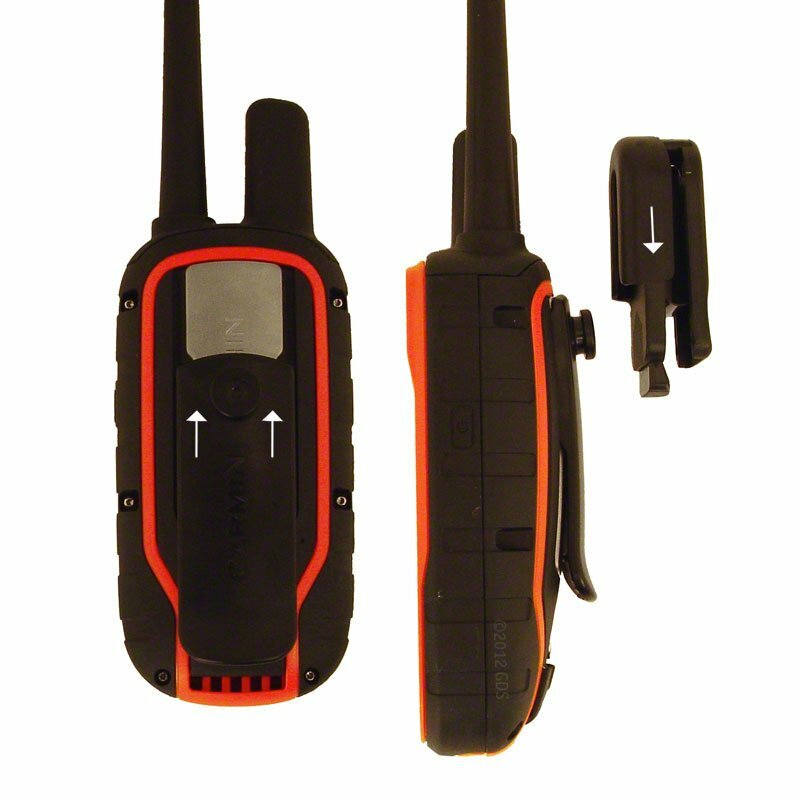 The ALPHA communicates using a VHF radio signal between the Dog GPS collar and the Handheld GPS unit, so to get the full range out of a system there should be nothing between the transmitter and the receiver. Realistically, this isn't going to happen in most of the places that we spend time with our dogs, so the actual usable range will be MUCH less than 4 miles depending on hunting conditions, including weather, terrain, and the presence of cover.